One of my favorite French restaurants, Le Reve, has an amazing sandwich that I love to recreate at home when tomatoes are in season. 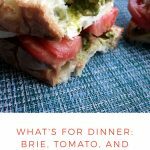 Find the best bread you can (I tried a yummy ciabatta from a local bakery, Troubadour), spread on bright basil pesto, and top with slices of in-season tomatoes and creamy brie. A good brie will be so runny you won’t even need to grill the sandwich to get it to spread. 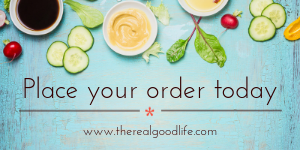 You can sprinkle on a little fresh pepper or even a light drizzle of honey to dress up the sandwich even more, but I don’t think you’ll need it. Sometimes the simplest dishes are the best, aren’t they? P.S. If you don’t want to make your own pesto, check out the Kirkland brand at Costco. It’s pretty good for being bottled! Only warning, its a huge bottle and goes fast, so be prepared with other recipes if you go this route. Lay out all eight slices of bread. Spread the pesto evenly on all slices. Top four slices with tomatoes, then brie. Sprinkle on a little salt and pepper. Top with the other slice and carefully slice in half. If you already have a favorite pesto recipe, use it here. Otherwise, I like this one from Simply Recipes (using walnuts or even pecans to save money) or the bottled stuff from Costco.